The repeater is being setup to be transparent. Simply talk on the designated frequency 145.525 and net control will receive on 440 band. This will be a cross band repeater like the Big Bear op. be sure to fill up your tank completely. Death Valley, California . 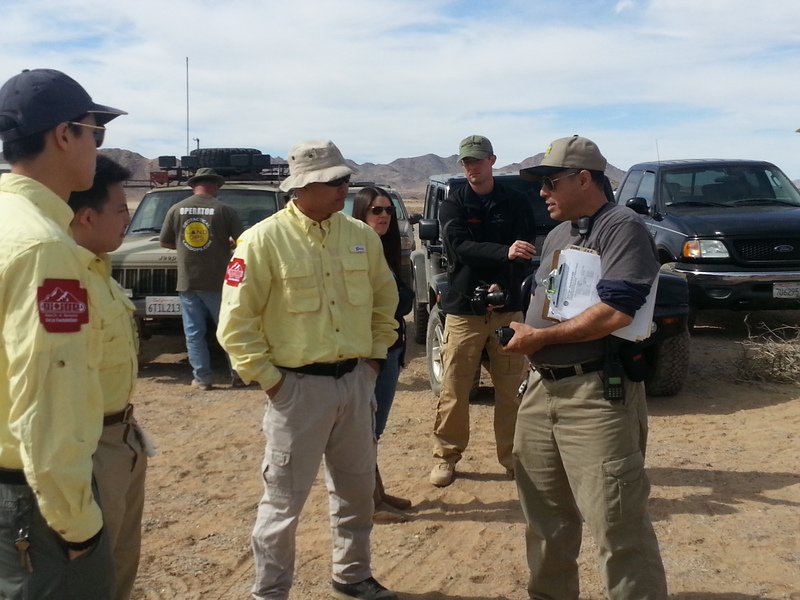 The drill will include a vehicle breakdown followed by a secondary lost vehicle and lost hikers. 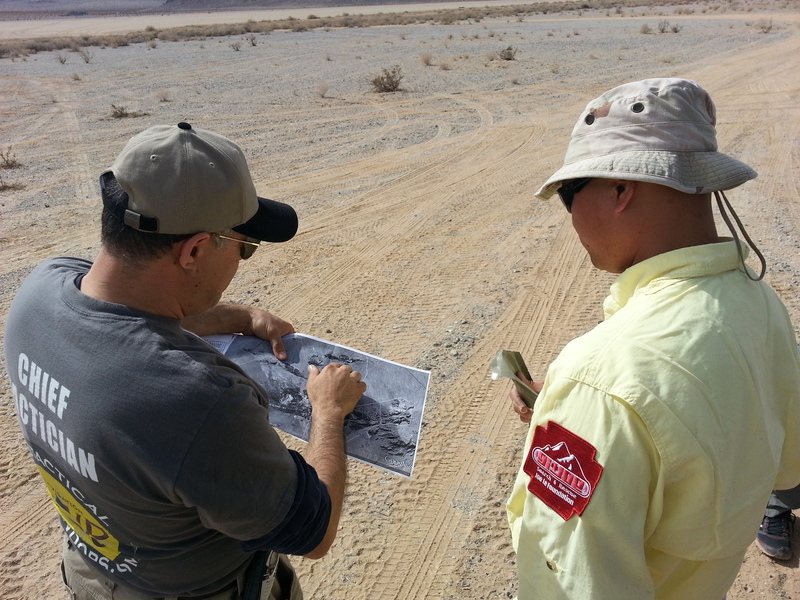 The objective is to find both vehicles and their passengers within 24 hours. Net control will run in shifts. 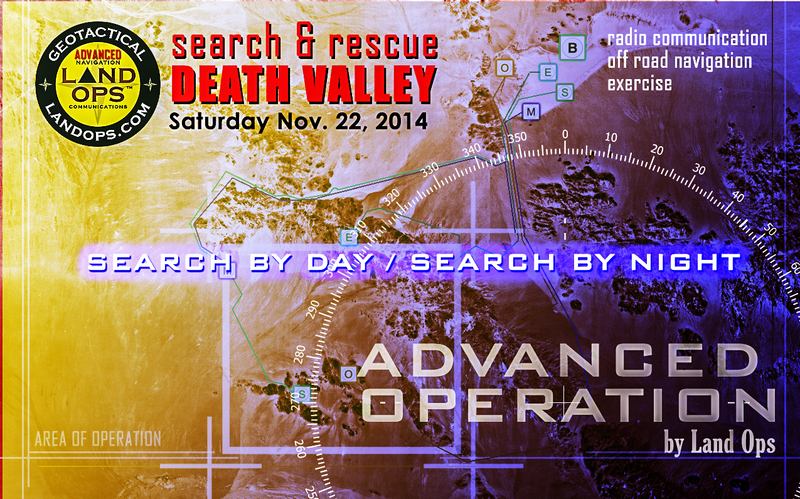 Search teams will return for food, rest and new search instruction as the search progresses. 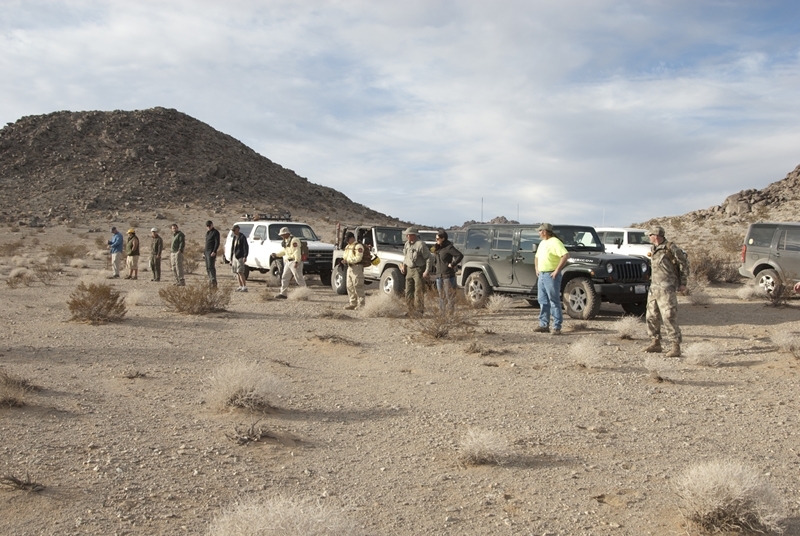 This will be similar to the SAR exercise Land Ops conducted in 2012 for the missing FJ Cruiser with 4 occupants only this time we have a much larger search grid. 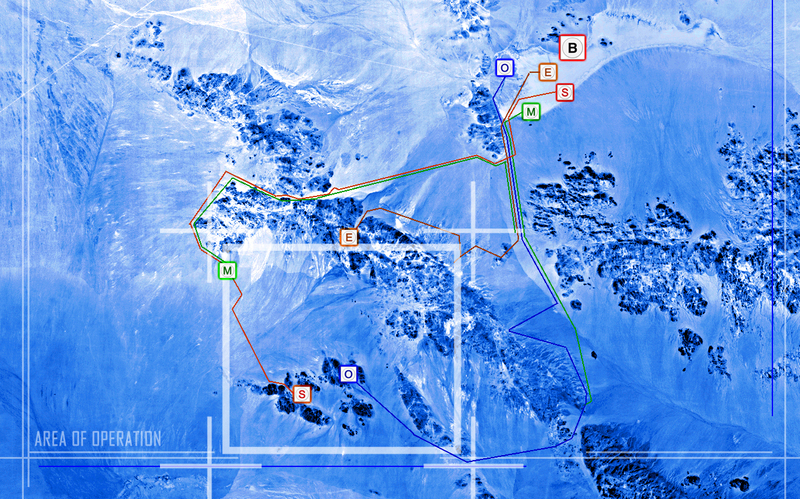 Image above is NOT the map of this event, but a sample of the previous SAR event by Land Ops. We will also consider launching aerial drones with WIFI video downlinks for those who wish to test this technology. 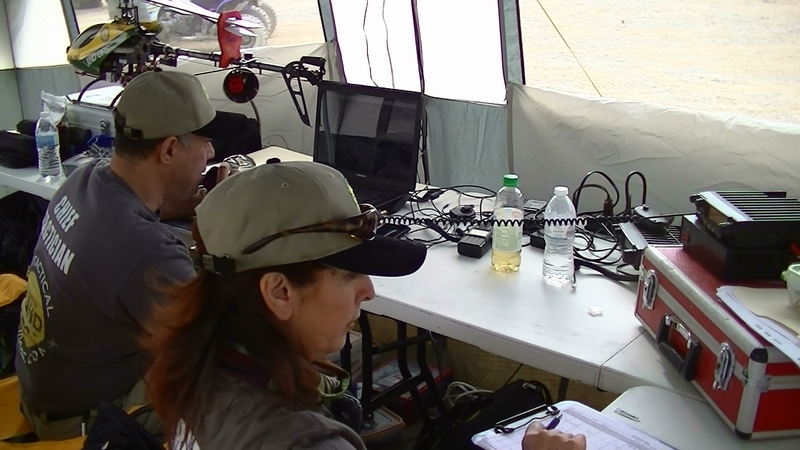 The use of aerial equipment will allow searchers to look over and around obstacles as well as to check areas from a higher perspective. This one will be quite the adventure.